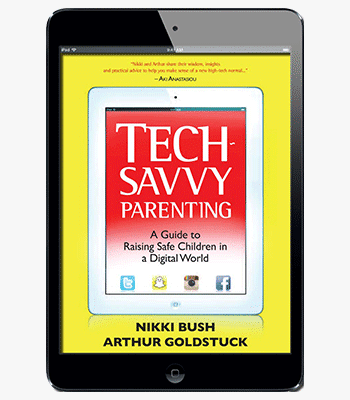 Tech-Savvy Parenting brings together the experience, research, observations and advice of respected parenting expert Nikki Bush, and leading technology commentator Arthur Goldstuck. Tech-Savvy Parenting brings together the experience, research, observations and advice of internationally recognized parenting expert Nikki Bush, and leading technology commentator Arthur Goldstuck. This insightful duo will help you get a handle on what’s happening in the digital space to ensure your children are safe and savvy in this fast-changing world. Furthermore, they will guide you through the terminology, dangers and opportunities of technology, while placing children’s use of all things digital firmly in the context of the relationship between parents and their children. needing to make sense of a daunting digital world. wondering how to keep children safe in a digital world. wanting to understand the strong attraction between kids, technology and social media. worried about the dangers of the digital world. wanting to help young people become tech-savvy and responsible users of media. attempting to bridge the digital divide.